The inaugral awards of the RECI Contractor of the Year took place in the Burlington Hotel, Dublin on Friday 20th March 2009. 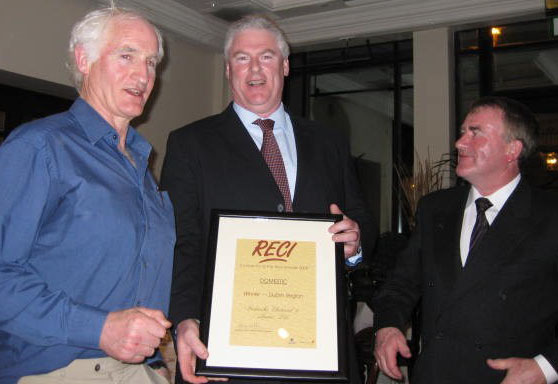 We are very pleased to announce that we were presented with the RECI Contractor of the Year Award 2009 Domestic Winner – Dublin Region. The awards ceremony took place with a great trunout of the winners and runners-up on the night, it was a great evening, thanks to all the hard work put in by the organisers/promotors.